Our scrumptious and chunky Shortbread Cookies are made ​​using real butter only and are available in several delicious flavors. Like: Rose Garden (wild roses), Lavender, Erva Doce (anise), Lemon Poppy Seed, Crushed Vanilla Almond and Chocolate Orange Zest. Orders are freshly made to order and shipped within 1-3 working days. A sweet beginning of spring with these shortbread cookies filled with chunks of sweet apricot, white chocolate and crunchy almonds. 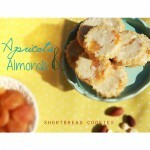 But we must admit: our apricot & almond shortbreads taste delicious in every season ! Our scrumptious and chunky Shortbread Cookies are made using real butter only and are available in several delicious flavors. 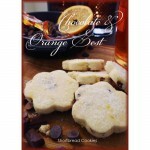 Made with true homemade quality it’s the perfect gift for a loved one or a special treat for yourself ! 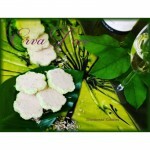 Our Coco Blossom shortbread is a very special cookie. With the creamy taste of a classic butter, it‘s sweetened with coconut blossom sugar and stevia. Stevia is a natural sweetener, but much sweeter than regular sugar – so you just need a tiny amount to get tons of sweetness. Coconut blossom sugar contains minerals such as potassium , magnesium, zinc and iron , and vitamins B1 , B2, B3 , B6 and C. So, if you’re diet conscious, this cookie is a super responsible choice to go with your tea or coffee on your morning break! 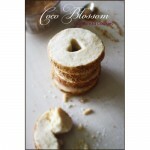 But our Coco Blossom Shortbread Cookies are above all really delicious! 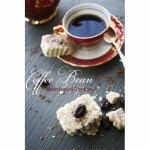 Time just stops, when you sit back and enjoy our Coffee Bean shortbread cookies. The Arabica coffee bean is well known for its round, harmonious and distinctive flavour, and we have captured this fragrant aroma in our Coffee Bean shortbread cookies. 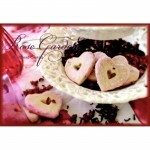 Enjoy these cookies with a fresh cup of coffee or a delicious with a cup of tea). 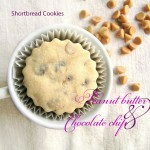 Have you already tasted our newest cookie flavor? Fresh and sour at the same time with cranberry bits and creamy white chocolate chunks. Pure happiness in one single cookie …. Our Shortbread Cookies with a hint of anise are the perfect cookies for fall or winter, when the days get shorter and the temperature drops to icey cold! 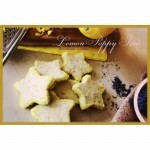 Enjoy these cookies with their characteristic flavor with a delicious cup of tea, coffee or a mug of warm milk. 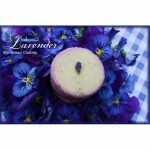 The fragrance of a freshly picked lavender sprig adds a lovely touch of lavender flavour to each of our buttery shortbread cookies. Just perfect for a tea party or a tea for two, or lovely as a special & unique gift. The rich taste of real butter, a refreshing hint of lemon and a dash of Poppyseed sprinkles, are the ingredients of this magically delicious cookie. Warning: you will not be able to eat just one! This unusual couple (♥ Peanut Butter & Chocolate ♥) have made themselves right at home in Cookie land and are the perfect addition to our buttery shortbread! 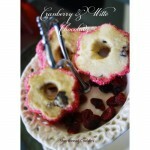 Perfect as an after school treat or as an especially yummy midnight snack! ♥ If you would like to send this as a sweet gift, we will happily include a handwritten note with your personal message & ship your package to your special person`s address.♥ Freshly made to order, each cookie is handmade from the signature Lovelies recipe with natural ingrediënts only. There`s nothing better on a rainy day than to cuddle up with a good book and a cup of steamy, bergamot scented Earl Grey tea! All the yummy goodness of Earl Grey has found its way into each of our sweet tea cookies in three delicious flavours: *Earl Grey with a hint of bloodorange, *Earl Grey with a touch of kardemom and *Earl Grey with a sniff of cinnamon. 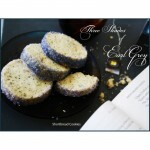 Enjoy them any day, rain or shine ~ or give them to your secret tea lover for a unique gift…. 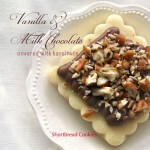 Our classic vanilla shortbread, but with a twist! A thick layer of milk chocolate and loads of crunchy hazelnuts give this cookie a delicious bite.